Hope that you're making some fun memories with people you love! 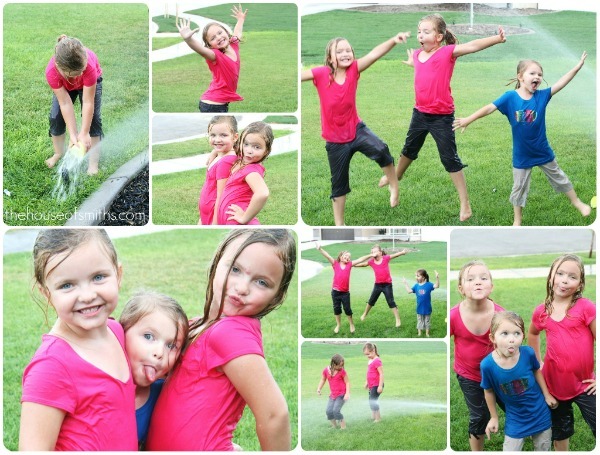 Shelley, you have the most adorable little girls! 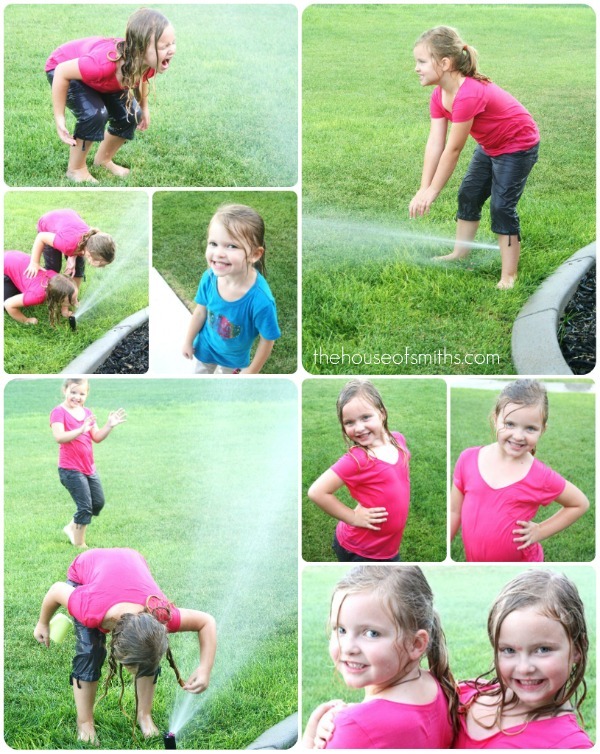 I LOVED playing in the sprinklers as a kid.. just brought back some fond memories for me. Hope you had a great Labor Day weekend! Cute!! They're getting SO big! :( Are the twins starting kinder this year? Those smiles are simply precious! What wonderful memories these photos make. I hope you had a beautiful day off with your family! I just wanted to say how lucky you are to have such sweet girls! I have all boys! I love your blog!